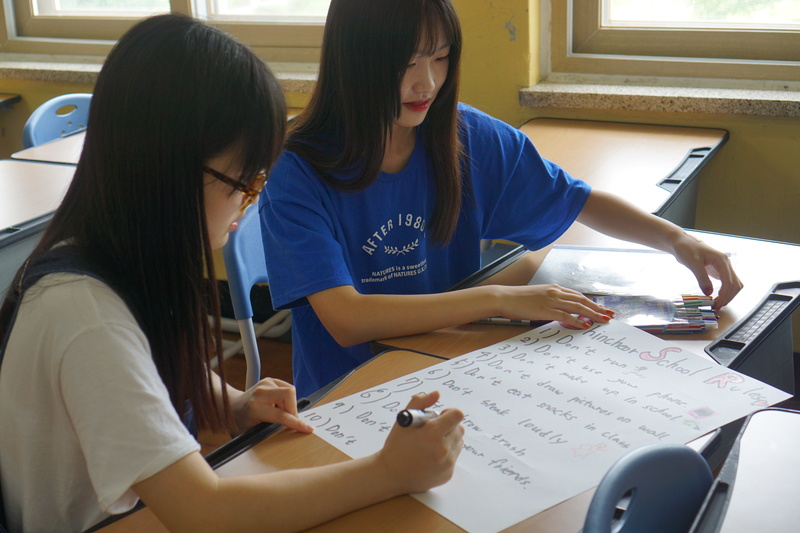 English Class Summer Program: School Rules Activity! Today was the first day of my school’s 7 day English “afterschool” program. I quote “afterschool” because it’s not really after school at all. It’s held in the mornings from 11:00 am- 12:40pm with a short 10-minute break. 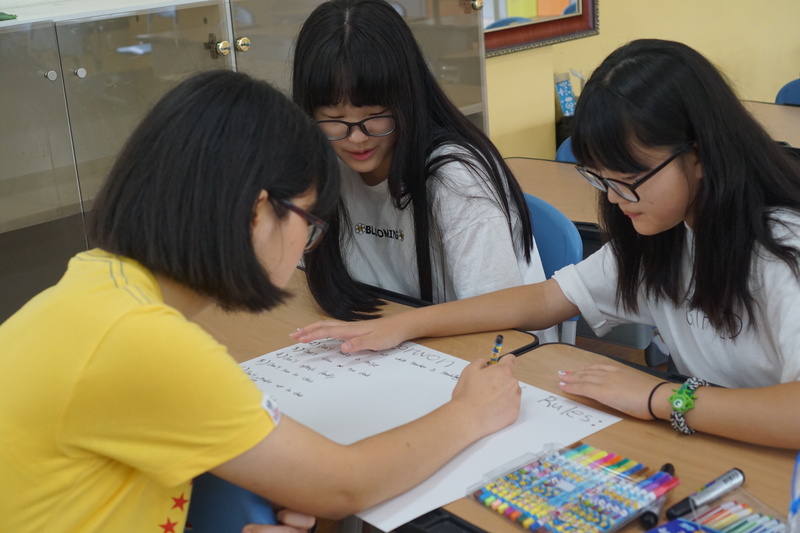 About a month ago, my main Korean co-teacher told me to choose what grade level I would like to teach for this program and I choose 1st and 2nd year middle schoolers (7th-8th grade in American schools) because I had already decided to have only 3rd year middle school students (9th grade in American schools) for my 3 day summer English camp earlier this week. I will get more into summer camp details later in another post, because I am still editing some videos from the last 3 days that I would like to share! I was required to submit 7 days worth of lesson plans for this English class summer program two weeks prior to the start. My co-teacher also informed me that I would be teaching alone for the entire week, but not to worry because these students would be enthusiastic about participating. Being a last minute planner, I just threw some bullet points on a word document and called it a day. However, I have had to solidify those plans now that things are in motion. There are 8 students on the class roster for this week, but only 6 showed up and 2 of them left early to go to a private academy. I was left with 4 students total, 3 girls and 1 boy. Not to mention, that they are in different grade levels 1-3 so it didn’t really matter what grade level I preferred anyway! 1 slide to explain the practice activity. 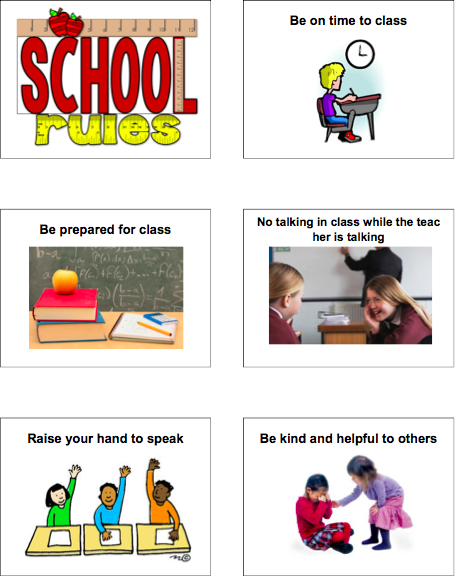 Practice: Make Your Own School Rules! Split students into 2 teams and make up their own school rules (8-10 rules). 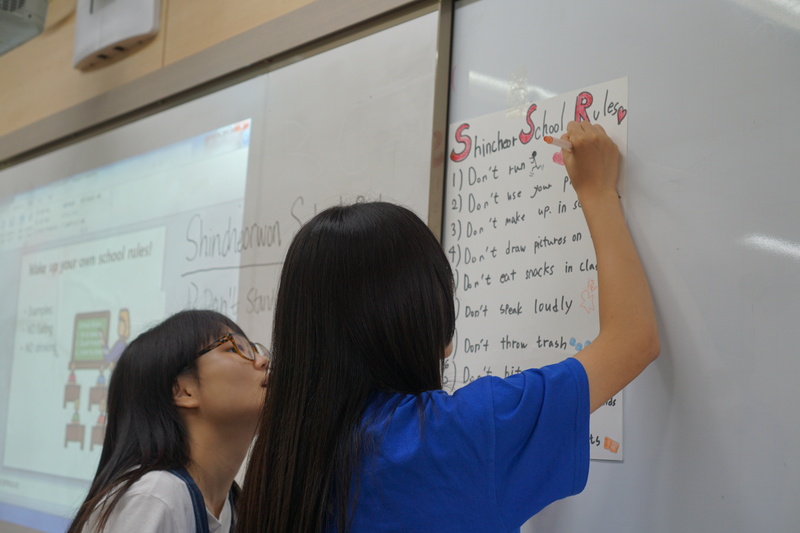 Instruct student to write school rules on big poster board and encourage them to draw pictures to illustrate the meanings of each rule. Each team will present their poster board and explain each rule they came up with. 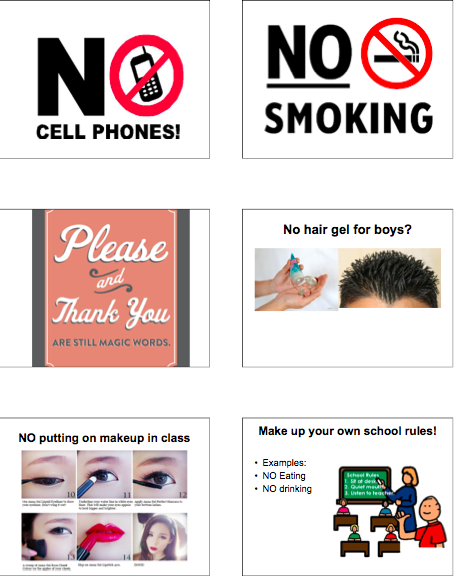 Production: School Rules Campaign Video! Show YouTube cartoon school rules video as an example. Have each student pick a rule that they would like to enforce from their list they created. All other students will break the rule while 1 student must write the rule on a board and enforce it. Film students role-playing & present final video in the next class! I was a bit worried about how class would go, but I think we’re off to a good start! Work didn’t feel like work today while I was with my students in the classroom and judging by the smiles on their faces, I think they enjoyed it too! I’m looking forward to the next 6 days with them, it’s going to be so much fun! Stay tuned for more fun in my classroom! Thanks for watching & reading! This entry was posted in Korea, TEACH, WATCH and tagged EnglishClass, Korea, Lesson, LessonPlanning, SouthKorea, TEACH, Teacher, Teaching, TeachingEnglish, TEFL. Bookmark the permalink. Deskwarming: Working Hard or Hardly Working?